We wanted to start our grocery buying off on Monday when we realized we were out of chocolate syrup (aiee! my morning coffee drinks!) and needed a cucumber to make a batch of Chilled Tomatillo-Cucumber Soup before the tomatillos bit the dust. As promised on Friday, here are the recipes we used for this year’s šašliks. What are šašliks? 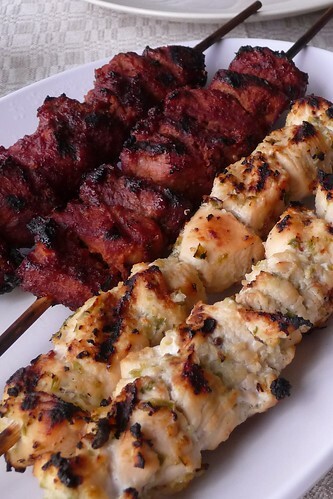 You probably know them as shish-kebobs or shashliks (š is sh) – just skewered, marinated meat that’s grilled. Nom. I don’t think I could pick one of these as a favorite of the night – I wished for more of both! Phew! We reached the end of the first week! Boy, we had some good food this year for Jāņi and thought I’d share what we made. We didn’t make as much as usual – I kinda forgot to set up rupjmaizes kartojums for dessert. If you celebrated Jāņi, what did you have? Hopefully this series isn’t bugging the hell out of you, my regular readers. So far, my thoughts on this challenge is that right now, it’s easy. We’re doing our regular shopping, trying to avoid impulse shopping, and keeping a closer eye on things. I do not expect it to be so easy much longer. 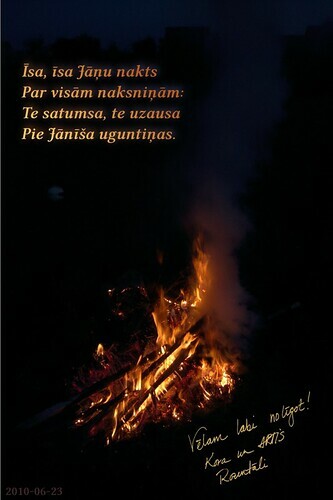 Priecīgus Līgo svētkus!Priecīgus Līgo svētkus! 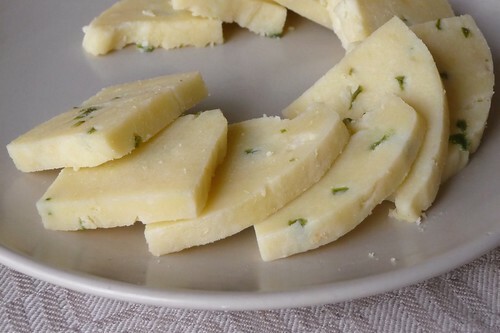 I’ll be back tomorrow.. for now, there is cheese to eat and cider to drink while we wait for the sun to return. Today is our normal grocery shopping day. Tuesdays are when the grocery store sales for the week begin and seem to be the best day to buy produce at Rancho Markets. Because the sales on produce are so good and the quality varies dramatically at Rancho, we treat it much like a farmer’s market – we buy what looks good and is inexpensive. So, today at Rancho, there were a few sale items I wanted to look at.